THPBlog: Green Diamond Resource Company to log near the Mad River Fish Hatchery. Green Diamond Resource Company to log near the Mad River Fish Hatchery. This THP is 4 miles SE of Arcata, CA and a few miles east of the Arcata Community Forest near the Mad River Fish Hatchery at an elevation of 120 to 1,040 feet. Green Diamond Resource Company is planning a commercial thin tractor and cable logging operation in redwood and Douglas fir forests. 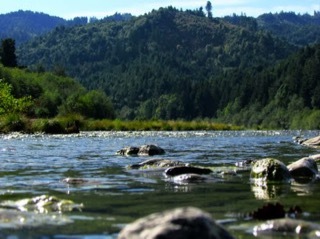 The THP area is adjacent to the Mad River which is listed as an impaired watershed for sediment, temperature and turbidity and contains coho, chinook salmon, steelhead and coastal cutthroat trout. There are 6 shallow rapid landslide terrain sites in unit A, 4 shallow rapid landslide terrain sites in unit B (including 2 steep headwall swales), and 8 road related failure sites including fill failures, overtopped culverts, and washed out crossings. An historic (1994) Cooper’s hawk nest exists within 520 feet west of unit A. Spotted owl nesting territories are located within .25 mi of unit A, and .50 mi of unit B. More information is available on the THP Tracking Center website.